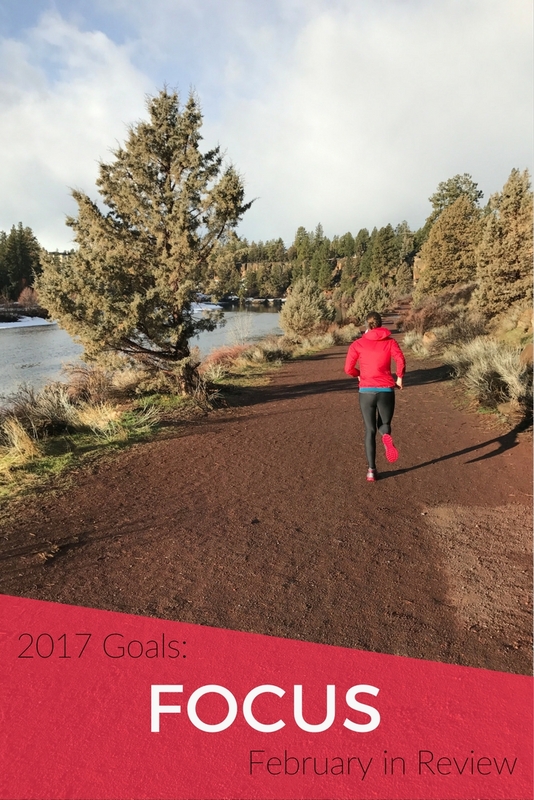 Coasting off of January’s inertia, I focused in this month closely on a couple of my winter goals. February was spent sharpening up for the Lake Sammamish Half Marathon, which is this Saturday. Sharpening is my favorite phase of race training; I enjoy the focused build up for the specific demands of the distance. I had some rough, dig-deep type runs this past month, but I also had several strong tempo runs that have me hopeful for a PR on race day this Saturday. I set an unofficial 10K PR during a 6 mile half marathon pace run. I don’t feel like I peaked too early – I feel ready to race hard. Right now, I’m just hoping there’s no snow, ice, or wind on Saturday morning! Out of all of my winter goals, I focused the most on this goal. My mileage wasn’t as high as it was last February, as I was coasting a bit off of marathon fitness when I started training. I prioritized the hard tempo runs and long runs. I’m really excited for race day and really enjoyed this training cycle – even with all the ice and snow (and treadmill runs) this month. Oops. I slacked on this a bit in February, with some weeks only getting in one actual strength training workout plus a few random exercises during travel. 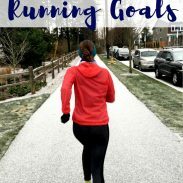 I got in at least one Pilates, resistance band training, or a medicine ball workout each week, but I will need to refocus on this goal after the race. I didn’t pick up this in February. The start of February was icy, and then I simply never got in the habit. I ran plenty of hills…just never as any sprints. Some goals you meet, some you don’t – but I know from this that I need to take a different approach to work on improving power and form in upcoming months. I can’t get myself to focus on these when there’s other goals to achieve. With the exception of having to move around tempo runs one week due to ice, we ran twice per week every week in February. We ran several 3-6 mile runs together this month and Ryan’s company got me through some runs where I might have quite early. A running partner helps so, so much when running the day after a long run! Ryan will be training for a half marathon in September, so I’m really excited to continue with our goal of running together throughout the rest of the year. More light in the mornings will help as well for putting in more miles together. I probably enjoy poring over the data from training logs too much. One of the features I’ve found the most interesting and valuable since keeping a more detailed log is how much elevation gain I cover in a week of running. Running in the snow. I know that probably sounds silly, but back when I lived in the Midwest, I avoided snow as much as I could and ran on the treadmill throughout winter. 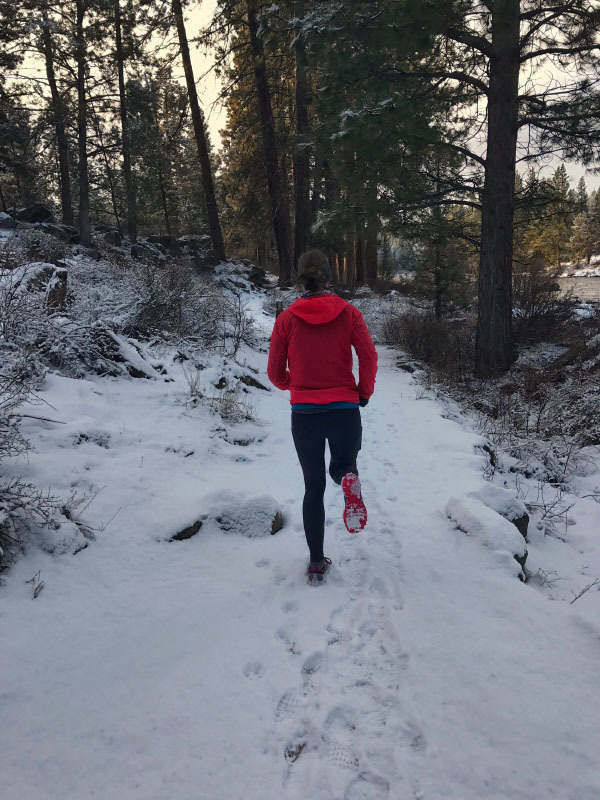 Running on the snow in Bend was really enjoyable, even with our slow paces. 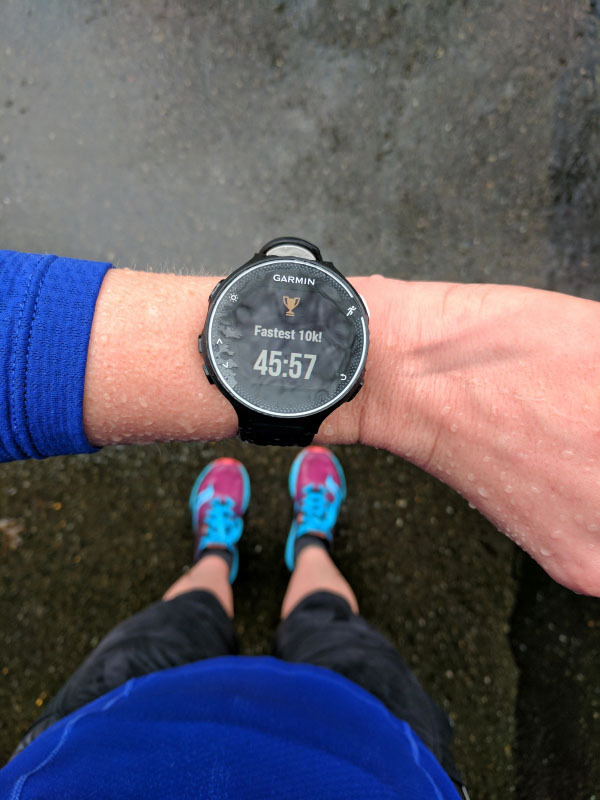 While the snow (slush) that we got in Seattle is negligible, I am proud of myself for getting out there yesterday and not just hopping on the treadmill when I first saw some accumulation on the ground. My confidence in my grit and mental toughness builds when I can endure – and enjoy – conditions that I previously avoided. 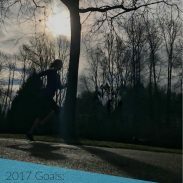 How did you work towards your goals in February? Do you have goals that you can never quite focus on? It is a good plan Laura, I will also make my plan for the month, hope that we both can make it! Great job with your goals! It sounds like you are ready for the half and that was really your priority lately (as it should be). I have the hardest time with non-fitness goals, like taking time to unplug or working on my posture throughout the day. Thank you! 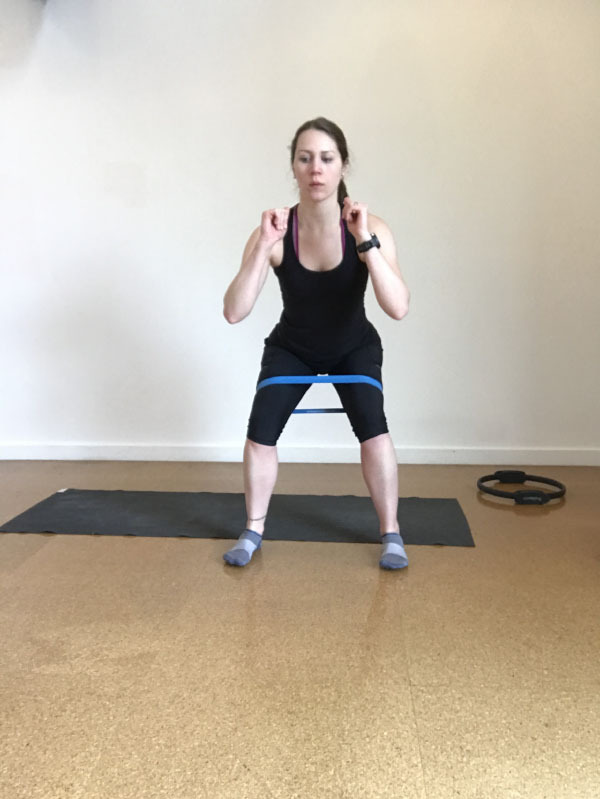 Non-fitness goals are hard, especially because they are more difficult to measure – there’s no finish time or PR for posture! My strength training goal always eludes me. I used to love lifting! I did body split days religiously. Even during marathon training, I would be dedicated until about the last little bit. I dunno what happened to me…. ANSWER ME LAURA. And good luck in the race! Same here! I used to do strength training twice per week and Pilates twice per week. Where did our lifting motivation go? And thank you! You are so ready! 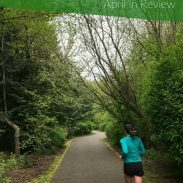 I agree that sometimes the lower mileage weeks can be better (especially coming off your marathon)- less fatigued legs as you sharpen for the half. Hope the taper isn’t driving you crazy.. good luck this weekend!! Thank you! So far the the taper is going well…having a week of rainy weather is helping a bit with that! I love running in the snow! It makes me feel like a little kid again. Glad you got to experience it too. Hoping for NO snow on race day though, but at least you trained in it! There is something youthful about it – it’s so carefree! Thank you! Focus is a great theme for the month of February. It’s a hard month and it makes for a good time to just grit something out. I know what you mean about other goals falling to the wayside when you’re focused on a bigger one. It is really challenging to balance multiple goals! Not everything can be top priority all the time. Keep up the great work. February is a hard month – the weather is always erratic in some way or another. Thank you! My goals in February basically went up in smoke with my injury. I had hoped to run 200 miles and one race. Oops. My goal for March is to get healthy and get over this foot issue. Be proactive, and cross train every day. And support my friends in their races. If I have to DNS a race I want to do something to make it better for those who can run like volunteer or cheer. You had a TON of goals and when you set a lot it’s always hard to meet them all 100%. I don’t think the point of goals is to do that because if you did, they would be too easy. You did a great job with it though and your running is really impressive! Thank you! I do set a bunch and then see where my priorities fall with them as time goes, especially at the start of a year or training cycle. I really hope your foot heals up soon! That’s a smart goal to focus on healing that so it’s not an issue in the future. I’m starting to think that I’m not much of a goal-orientated person, because I’m sitting here trying to think of the last goals I set for myself and I can’t think of any! Actually, I did really well on the whole veggie eating thing, but I fell off that wagon for reasons I’ll get into later. 😉 And I started up strength training and I’ve stayed consistent with that, so that’s good. I just don’t really have a goal in place. Or maybe my goal is to just keep doing it, and I am. Ha! Anyway. I’m super excited for you for this weekend. It BETTER NOT SNOW. Thank you! It better not snow! They said snow and ice this morning but it was actually pleasant (well, pleasant in a PNW winter sense). Personality types and individuals do differ in terms of goals – and you have to do what’s best for you! I’m hoping to start training for the long island half next week! with that will come finding the right balance between the running and pure barre. I don’t want to overdo it but I don’t want to stop strength training either! Yay! I’m excited about your training and you’ll have to keep me updated on it!